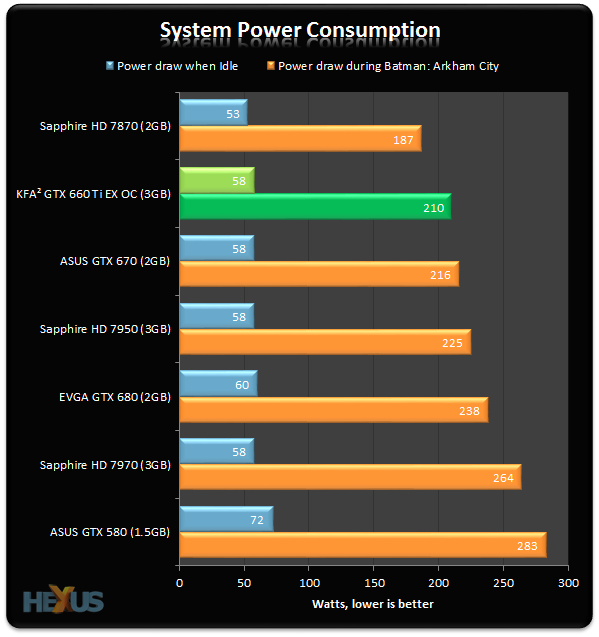 Liberally chopping off the back-end decreases system-wide power-draw by a few watts when compared to GTX 670. 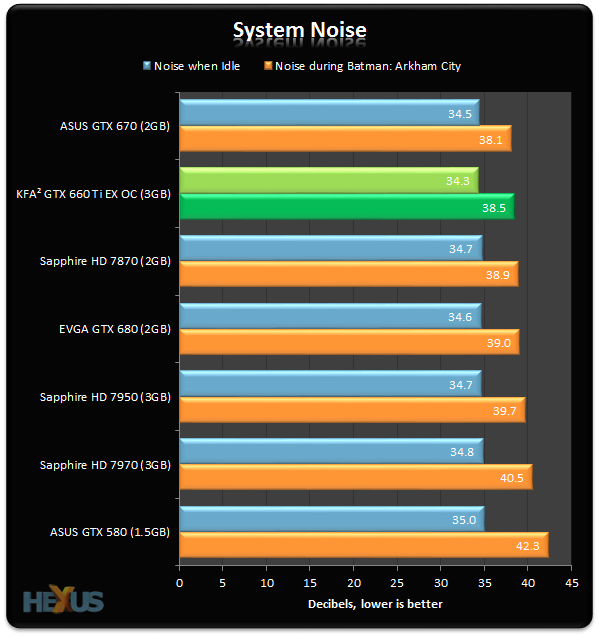 The card's numbers aren't as good as a Radeon HD 7870's, mind. 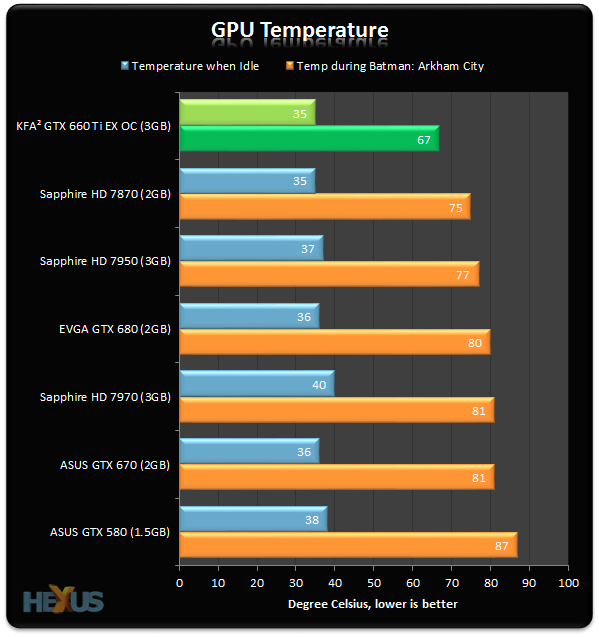 And the dual-fan configuration and sensible noise-vs.-temps profile lead to it being one of the quietest of our seven-GPU line-up. Indeed, KFA² could sacrifice temperature - it is low, after all - and make the card even quieter.